For extras such as Deboss & Infill, Embossing, Mixed Colour Pack or Additional Sizes / Designs, please visit the - 'Extras, Upgrades & Add-ons' category & add to basket prior to payment. Professional design service, set up fees AND express delivery! Super-fast! Our delivery time is just 6 working days on average. No price increase at checkout! What you see is what you pay. 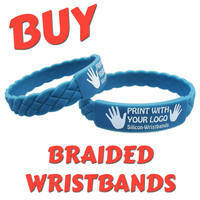 For silicone wristbands, come to Promo-Bands! 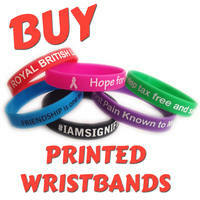 Supplying top quality wristbands, custom printed silicone - with extra free wristbands too! 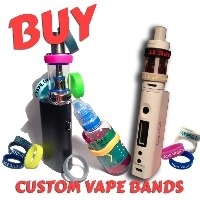 We also supply Vape Tank Bands, 25mm Wristbands, 6mm Wristbands, Silicone Keyrings, Pop-Up Fling Frisbees, Jumpies & more! 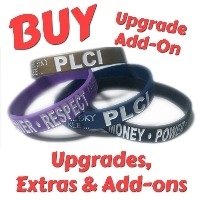 Our customers use their bands for a range of uses including; business advertising, charity fundraising, club memberships & promotional keyrings, events, schools, kids, commemorative & RIP wristbands, campaign awareness, wedding day favours & more! Our rubber wristbands are top made from 100% food-grade silicone and we use only the best quality inks. Our team of in-house designers will make sure your order is perfect and you'll receive a visual to approve before we go ahead and make them. Once made, you'll receive tracking information and the whole process takes just 6 working days on average. We aim to supply the best quality, cheapest rubber wristbands for our customers and have been producing promotional products since 1969. 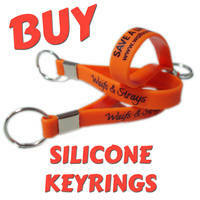 Making it easy & convenient to buy your silicone wristbands UK.